Gregg Township received a grant from WPPSEF to co-fund a new solar hot water system at The Old Gregg School Community and Recreation Center in Spring Mills, PA. The $30,000 grant was to partially fund a new $50,000 solar domestic hot water system for the 26,000 sq. ft. building. 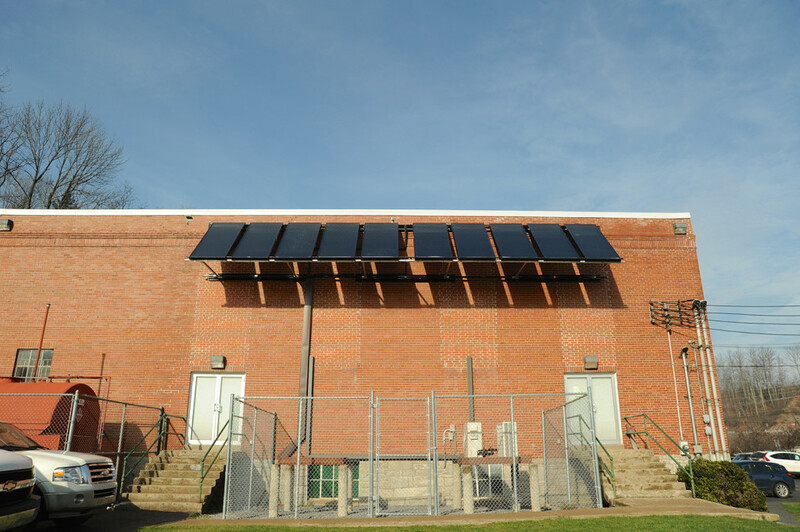 The solar hot water system is comprised of ten Viessman 200-F flat plate solar collectors, a heat exchanger, a 500-gallon hot water storage tank, and a piping and electrical control system needed to capture the sun’s energy and transfer it into the water. The 500-gallon hot water storage tank supplies preheated water to an existing propane-fired Navien on-demand hot water heater. The solar hot water system, which became operational in September 2015, is expected to reduce propane consumption by 70%. The Old Gregg School Community and Recreation Center provides the Penns Valley region a safe and vibrant location for recreation, education, business and wellness opportunities while preserving the unique heritage and character of their community.